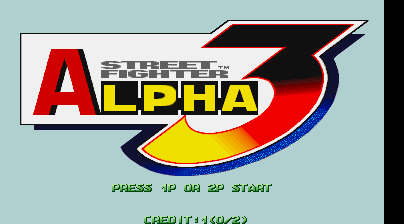 1998 saw the release of Street Fighter Alpha 3 in arcades. 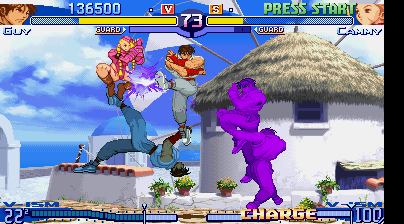 As well as bringing back everyone from the previous game, it had several new fighters, including Cody from the original Final Fight. Cody has changed a lot since we last saw him as his back story reveals he's been getting into so many fights he got himself arrested. One day, he managed to escape from prison and immediately goes on the lookout for bad people to beat up. The game introduces the "ISM" system. There are three different ones available, with X-ISM disabling air blocking and only giving your character one super in favour of increased attack power, A-ISM being the standard option and V-ISM letting you use custom combos. 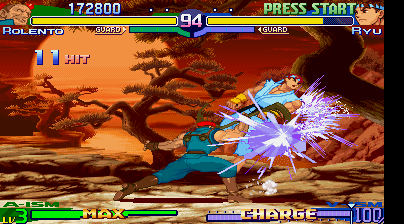 Selecting X-ISM with Sodom will equip him with his katanas, just like he had in Final Fight. 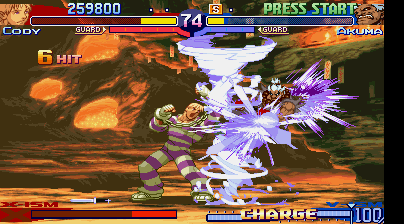 Street Fighter Alpha 3 was one of the last popular Street Fighter games until Street Fighter IV arrived over 10 years later. It was ported to the Playstation, SEGA Saturn (in Japan only) and Dreamcast. 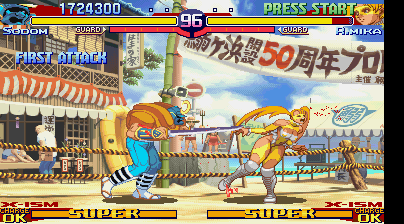 The home ports had even more characters, but sadly no Final Fight related ones. 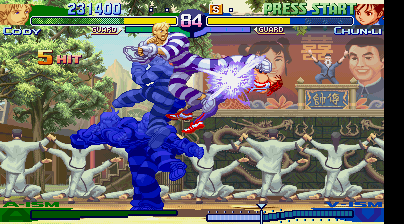 An update to the game, Street Fighter Alpha 3 Upper, was released on the GameBoy Advance and later PSP. These portable versions added Maki to the roster -click here for more info.